Climate change is described by leaders of the medical profession as the greatest health risk of this century. Its health impacts are already significant both internationally and in Australia and are predicted to increase with rising temperatures. The severity of natural disasters from extreme weather events is increased by climate change and is an important cause of harms to our health. A report prepared for the Australian Roundtable by Deloitte Access Economics on the costs of these disasters is remarkable in exposing the health costs. It requires dedicated government attention and action if many Australians are to be spared unnecessary harm and suffering. In 2015 the social costs of natural disasters were at least equal to the physical costs in a total of over $9 billion — about 0.6% of gross domestic product. The total cost of disasters is expected to rise to an average of $33 billion per year in real terms by 2050 unless steps are taken to increase resilience and address mitigation. It is not difficult to calculate the tangible costs of disasters, the damage to infrastructure of buildings, roads, land and crops but the importance of the new Report lies in its costing of the intangible damage to people, the health and well being of the affected community-the lives destroyed from an increase in mental health issues, family violence, alcohol consumption, chronic and non-communicable diseases and short-term unemployment. 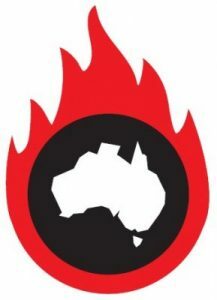 2009 Victoria Black Saturday bushfires to assess intangible damage in climate related disaster. In the case of the 2010-2011 Queensland floods, the tangible asset loss was $6.7b and was exceeded by intangible losses of $7.4B. This represents not only monetary loss but also a huge amount of human misery. In a review by Doctors for the Environment Australia more than 78% of Queensland was declared a disaster zone and 35 people were killed and about 2.5 million people were affected. Seventeen thousand tetanus/diphtheria vaccines were also distributed to reduce the risk of disease and the Queensland Health information line answered 54,881 calls from flood-affected areas. The Black Saturday bushfires in Victoria killed 173 people and injured 414 more. The intangible costs were estimated to be significantly higher than the tangible costs, at $3.9 billion dollars compared to $3.1 billion dollars respectively. The Report recommends “Pre- and post-disaster funding should better reflect the long-term nature of social impacts”. The second recommendation is “A collaborative approach involving government, business, not-for-profits and community is needed to address the medium- and long-term economic costs of the social impacts of natural disasters”. So what is the government’s approach to this dire issue? There does not appear to be a national one and indeed so much health management has been devolved to the states that there seems little federal capacity to act apart from sending in troops and paying out money. So responsibility for health outcomes lies with the states. South Australia is perhaps the state most conscious of its obligations to addressing climate change issues yet in a submission from Doctors for the Environment Australia for a new climate change strategy for SA it was not possible to find any measures by the SA health department which would address the second recommendation. Presently, the states have to provide the personnel and structures from constrained health budgets to deal with a health emergency immediately and for years to come. They need to plan to reduce risk to communities by ensuring that all government departments consider health in all policies, planning, housing, transport. 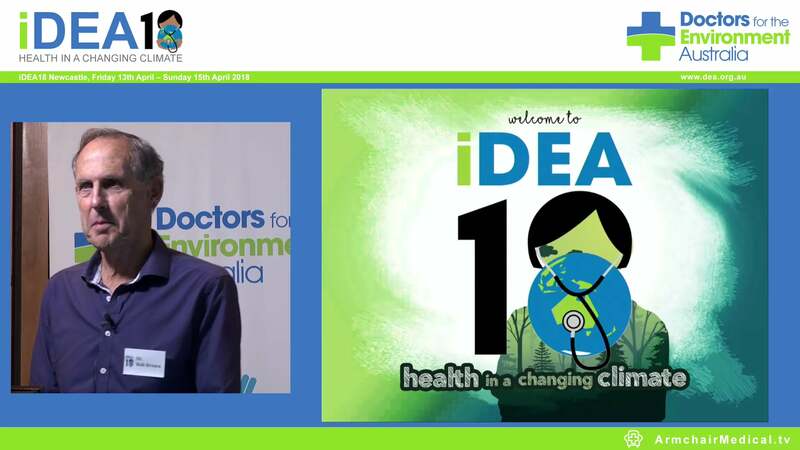 Recently, when requesting a meeting with the Premier to discuss these health issues, our organisation (Doctors for the Environment Australia) was referred to the Minister for the Environment and not the Minister for Health for a response. Therein lies a national problem. At present, federal and state health ministers do not regard these matters as their responsibility. The role of the Commonwealth health Minister must to promote the development of national guidelines and strategy which state health departments can deploy. Much can be gained by examining the plans from equivalent jurisdictions in the US which are well ahead of us. We commend the Business Round Table. They are first cab off the rank in their recommendation for collaborative action.